Celebrity Peace Ambassador Gerald Anderson and Primetime Princess Kim Chiu are back together in a Star Magic Anniversary Film '24/7 In Love' on an episode 'Underwear Hero'. Their loveteam last appeared in the movie 'Till My Heartaches End'2 years ago. Both work separately then. 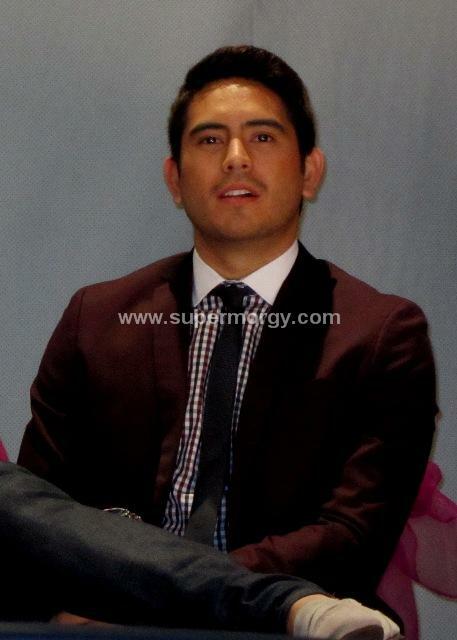 Gerald on the highly acclaimed 'Budoy' and Kim on the highly rated 'My Binondo Girl'. In this 24/7 In Love movie, Kim plays the role of Patty, an Account Executive who has to save her job by finding a guy who rescued his neighbors from a fire fiasco in his underwear and became an instant celebrity. Much to her surprise, the guy turns out to be Gerald's character Alvin, her ex-boyfriend whom she has hurt from the past. This episode is directed by Mae Cruz and is showing on November 21, 2012. I'm pretty sure the KIMERALD fans are just very excited to see their screen team-up again just as how happy I am seeing them as friends off-cam. During the Presscon, It was obvious that the two were getting along well, no pretentions and were just happy and relax answering questions together with the other cast of the movie. Currently Kim is doing a good in her role as Celine on her Teleserye #InaKapatidAnak with Maja Salvador. Some of my thoughts about Kim are here click this. While Gerald is set to star in a new Teleserye for airing next year with a working title #BukasNalangKitaMamahalin together with Cristine Reyes, Rayver Cruz, Ms. Dina Bonnevie and Ms. Maricel Soriano. He recently walked the runway last October 23 for the Philippine Fashion Week of the clothing brand Mint. He also graced the cover of M Magazine, a glossy Magazine featuring famous people of Mindanao where Ge grew up. You can catch Gerald Anderson with Maja Salvador this November 17, 2012 at 5pm in Abreeza Mall in Davao City for the movie promotion of 24/7 In Love. 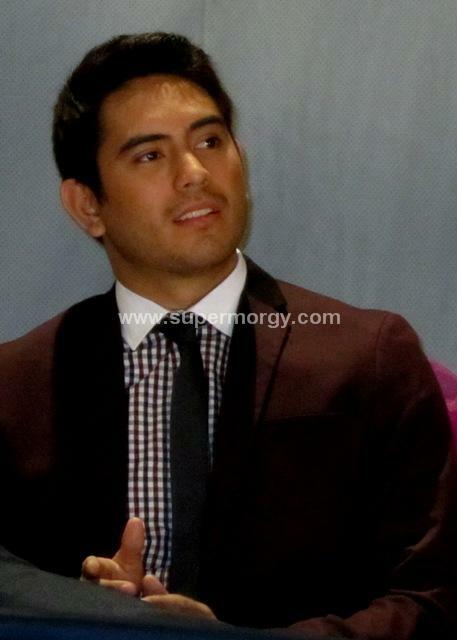 And just yesterday, Gerald Anderson as Budoy won the ASAP Pop Viewers Choice Award for Pop Kapamilya TV Character. I haven't said much yet about Gerald Anderson here in my site. Lemme just take this opportunity to say just a little. He is very dear to me. We are both Generals for those of you who don't know. I get to visit him sometimes in tapings or in some of his events. Ge has a good memory and has always been accommodating. He is very appreciative with the good things coming his way. He is very thankful for the support his fans and followers give him. He even likes it when they visit him on set. Just a gentleman in every bit. From what I see, he gives back the love by being good to his craft. I’m sure you would all agree with me that Ge gives much value to time. I was a witness to this, (other than that episode of Sarah G Live where Ge gave sweet words about Time to Sarah), Time for his Fans, appreciating their visits on the set. Time for Family, Flying 700 miles to Gensan and back to Manila, Time for friends, Basketball and Catching up and Time for good work and charities. I won't go into details about that coz I don't want to tell the world that how good and big his heart is. I want you to discover it by yourselves just as how I did. Gerald is not just a superhero for any lonely girl out there but he is a Hero for any situation he can be of help. I felt really sad though for the love he has for Sarah Geronimo that didn’t go to the next level. It was a love that has always been but can never be. But I still hope and pray he gets to find the girl who would make him happy. Here are the photos I took with a video clip..